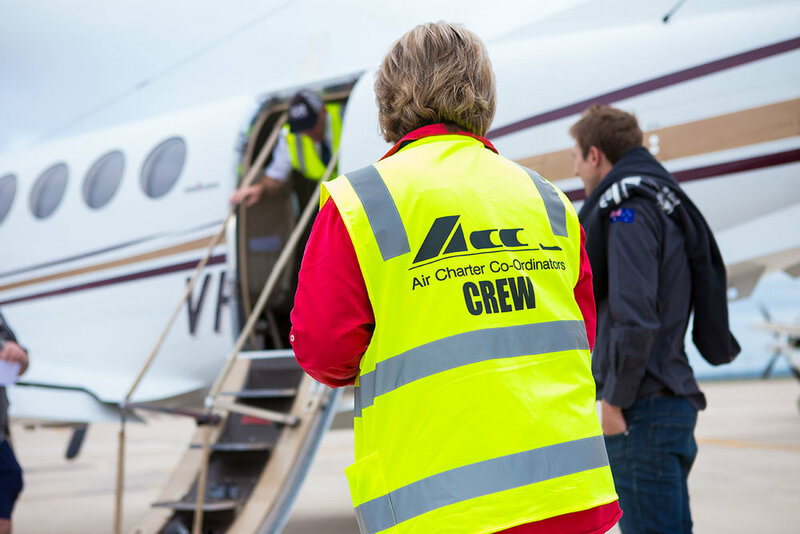 Air Charter Co-ordinators can transport your team or crew anywhere in Australia, 24 hours a day, 365 days a year. ACC provide you exclusive use of modern, twin engine King Air B200 turbo-prop aircraft, with a one or two pilot crew who are trained and accredited professionals. ACC work in with your schedules, saving you time and hassle, whilst providing the highest levels of safety, reliability and comfort with a air-conditioned and fully pressurised cabin at cruising altitude. Being an experienced and long-established air charter provider Air Charter Co-ordinators offer a level of client service, attention to detail, and professionalism in all aspects of commercial air charter Australia-wide. Our crew are professional, well-trained & highly experienced. Fly in air-conditioned comfort with Air Charter Co-ordinators.